Charm, style and comfort awaits you in peaceful and relaxing dog friendly surroundings. 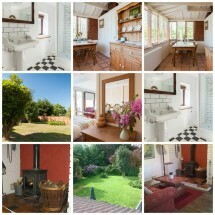 Are you considering a holiday on the beautiful East Norfolk coast? Church View Cottage sleeps 4 people and is a very comfortable, spacious and attractive ground floor cottage adjoined to the owners old brick and flint cottage. We moved to Norfolk in 2013 to start a new adventure by the sea. 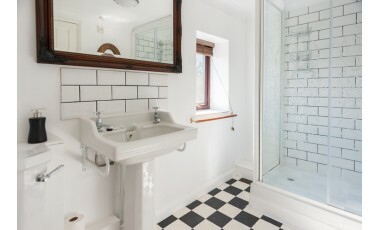 We worked hard together to convert the annexe into a separate two bedroom holiday cottage. Weasel our labradoodle, came in to our lives while we were setting up the cottage. So then we designed our cottage to be dog friendly inside and out! 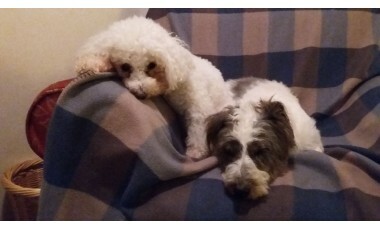 Dogs love staying here at Church View Cottage because they are treated as one of the family. On arrival they are welcome straight away in to the large, privately enclosed garden. 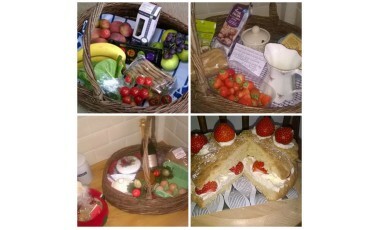 We provide welcome goodies for the dogs, all homemade by myself. We have a large chest containing dog throws and towels all available to use during your stay. Dogs are welcome on the sofa too for snuggles. We are just a couple of miles from such wonderful dog friendly beaches. With no dog restrictions all year round. 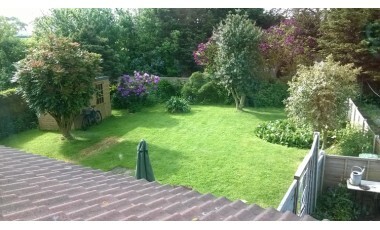 Near to broadland villages and National Trust properties. There are so many dog friendly places to eat and drink. A very special place to holiday. This was our first holiday with our 2 English Springer Spaniels and certainly won't be the last. 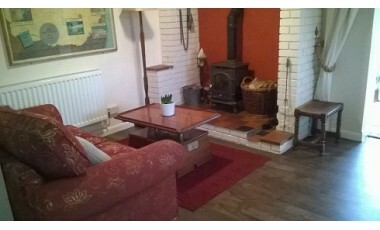 Peter and Paula have made a fantastic holiday home from home, the cottage was fabulous, so cosy, clean and comfortable. The garden is totally dog proof and pretty. The welcome pack was delicious. The whole area is so dog friendly, the beaches were loved by the dogs and not once did we feel they were unwelcome or a nuisance. 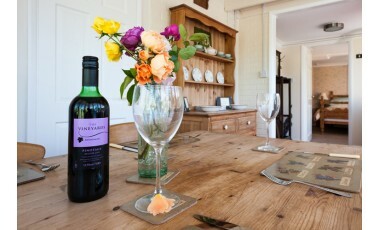 We will be recommending Church View Cottage to everyone and can't wait to return, hopefully for longer. Paula and Peter Wooding have made this a wonderful doggy retreat, with its secure and pretty, south-facing garden plus a houseful of doggy accessories. Bella and Charlie particularly enjoyed the home-made peanut butter biscuits just for them. We felt as if we and our dogs were all welcome, the dogs not just tolerated. All of us were comfortable and even though it was an unseasonably warm February the log-burner was a cosy thing to sit round in the evening. There are so many wonderful, spacious beaches and dunes nearby they all run into one another, and there is no danger of dogs being unwelcome on them. It was dog heaven walking between Sea Palling (some good cafes) and Eccles, and then further north to Sheringham and Overstrand and Blakeney. Everywhere we went we felt as if it was almost a disadvantage NOT to have a dog with you! We can recommend the nearest pubs, The Star Inn at Lessingham and the pub at Happisborough, though we found practically every place we visited provided good pub food and was easy-going about dogs. We would love to have shared a photo but this website will only accept 2 Mb.